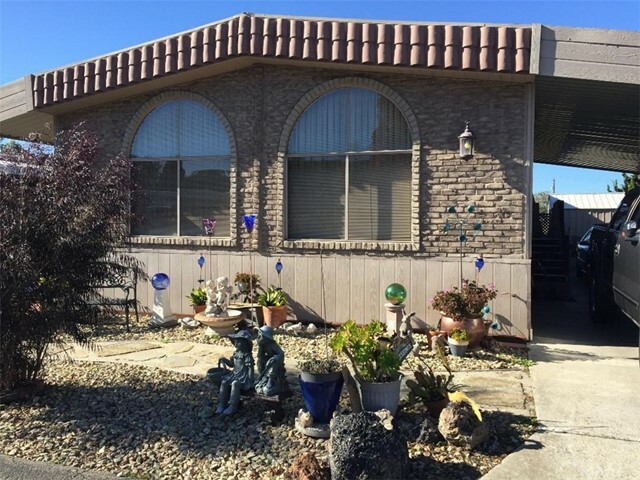 Welcome to the ever popular bolsa chica mobile estates a senior resident owned community with no space rent and low hoa fees. This beautiful barely lived in home built in 2014 has a spacious open plan with 3 bedrooms and 2 baths. The high ceilings add to the generous modern design with plenty of kitchen storage and a large island for entertaining. The large master suite boasts dual vanity sinks, shower and generous walk in closet. Garden to your heart's delight in the large back yard with 2 storage sheds to store your bicycles, barbecue, gardening tools and whatever. 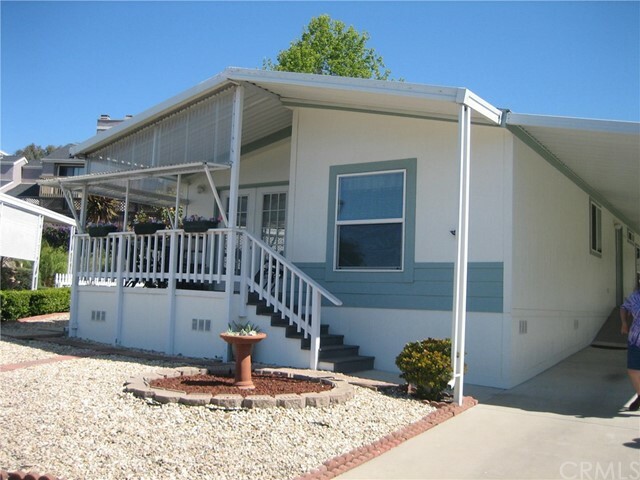 The driveway and carport provide for either tandem or side by side parking. 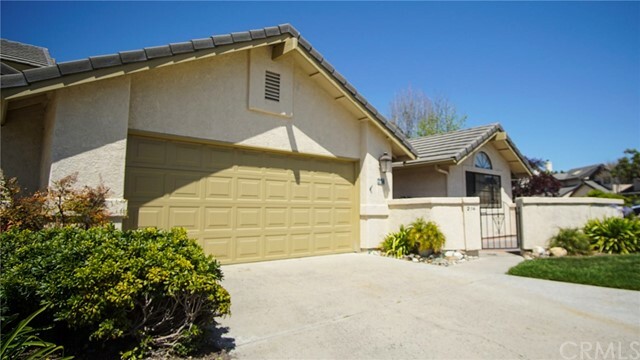 Walking distance to the charming village of arroyo grande. The low hoa fee takes care of the community pool, dog park, clubhouse and common area maintenance. Schedule your tour today before you miss this lovely home. Better than new! 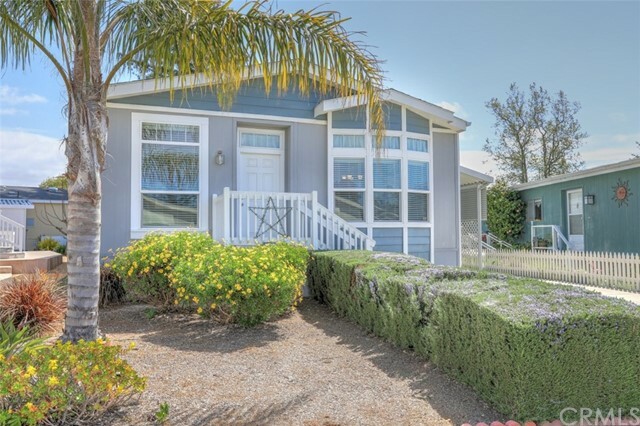 Love and care are the hallmarks of this 3 bedrooms 2 bath home located in mesa dunes estates. 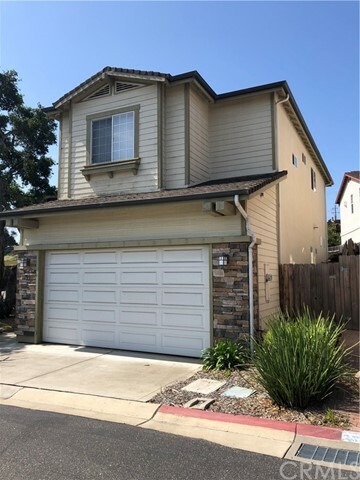 Tasteful upgrades throughout include solid surface kitchen counters, new paint, crown moulding, newer carpet, enlarged master bath shower and more. The wrap around front decking is great for expanding your entertaining to the outdoors. There is a large outdoor room finished shed that is great for extra storage or perhaps to use as a workshop/craft room. And the community features are amazing! There are two clubhouses, two pools, playground, fitness trail and even a place to shoot hoops. The welcoming front entrance, green belt areas, and flower field add charm to the community. The new monthly space rent to the new owner will be 1157. 20 per park management as of 1/23/19 in this all age park. Come see this beauty before its gone!